Alternative Current Poling (ACP) process for bulk piezoelectric materials was first reported by Ogawa Toshio of Shizuoka Science University, Japan in 2003 (Jpn Patent Publication 2003-282936). The material was Lead Zinc Niobate Titanate (PZN-9PT) single crystal (SC). After the first report, Hanue of Konica Minolta MG Co. Japan reported ACP effect for 3-0 composite of organic materials, such as PVDF and Pb free inorganic materials of CaBi4Ti4O15 (Jpn Patent Publication 2008-47693). However, both of them could not show a distinct differences of dielectric and piezoelectric properties of these materials between normal Direct Current Poling (DCP) and ACP process. In 2008, Yamamoto and Yamashita started various types of nano-composite electrodes for relaxor-PT SC to increase the coercive field (Ec) of lead magnesium niobate titanate (PMN-30PT) SC. In the course of the R&D. we found PMN-PT SC with a special nano-composite electrode poled by ACP SC (d33=2500 pC/N) was apparently different from DCP SC sample (d33=1800 pC/N). In the beginning of the finding, we have thought the reason is mainly the special nano-composite material. But after many experiments, we found the big difference was not contributed by nano-composite, but mainly by the ACP process. 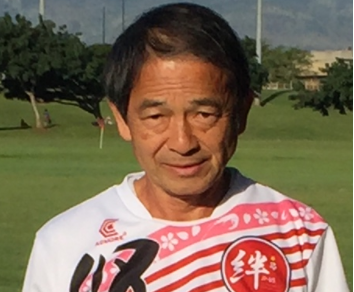 Yohachi (John) Yamashita was born in Kagoshima, Japan in 1951. He joined Toshiba Corp. in 1969 and started piezoelectric, dielectric, transducer, relaxor single crystal materials research job. He wrote 130 peer-reviewed papers, 320 Japanese and international patents, 7 book chapters and one book. He received Ph.D. degree in Materials Science from Waseda Univ., Japan in 1998. The most well-known his pioneer research is relaxor single crystals for medical diagnostic ultrasonic transducer development in 1997-2013. He is an inventor of the Smart AC Poling (SACP) of piezoelectric relaxor single crystals. The Pb(In,Mg,Nb)O3-PbTiO3 single crystal poled by the SACP showed the world-record-high piezoelectric constant d33>3800 pC/N. After quitting Toshiba in 2013, he started his current post as a research specialist at the Dep. of Intelligent Systems Design Engineering in Toyama Prefectural Univ., Toyama, Japan. His current research focused on sonic and ultrasonic stimulation for aquaculture fishes, plants, small mammals, and mankind. He was a head editor of Japan Journal of Applied Physics from 1995 to 2000. He is a fellow international of Japan Society of Applied Physics and a senior member of IEEE UFFC. From Aug. 2017, he is an adjunct professor of Prof. Xiaoning Jiang group of Mechanical and Airspace Engineering of North Carolina State University (NCSU), NC, USA. He is also a consultant of several private companies in Japan, Korea, and China. 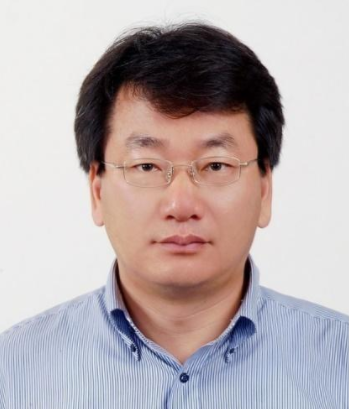 Ho-Yong Lee is a Professor in the Department of Materials Science and Engineering at Sunmoon University. He received a B.E. degree in Mineralogy and Petroleum from Seoul National University in 1987. From March 1987 to February 1993 he studied at Korea Advanced Institute of Science and Technology (KAIST), Daejeon, South Korea, and received his M.S. and Ph.D. in Materials Science and Engineering in 1989 and 1993, respectively. He developed the “Solid-state Single Crystal Growth (SSCG) technique” for ferroelectric/piezoelectric materials such as BaTiO3, Ba(Ti,Zr)O3, PMN-PT, and PMN-PZT. He also contributed to the understanding of the single crystal growth mechanism in the SSCG process. In 2000, he founded a venture company (Ceracomp Co., Ltd.) to commercialize the SSCG technique. His research interests focus on the fabrication, characterization, and application of ferroelectric/piezoelectric single crystals.